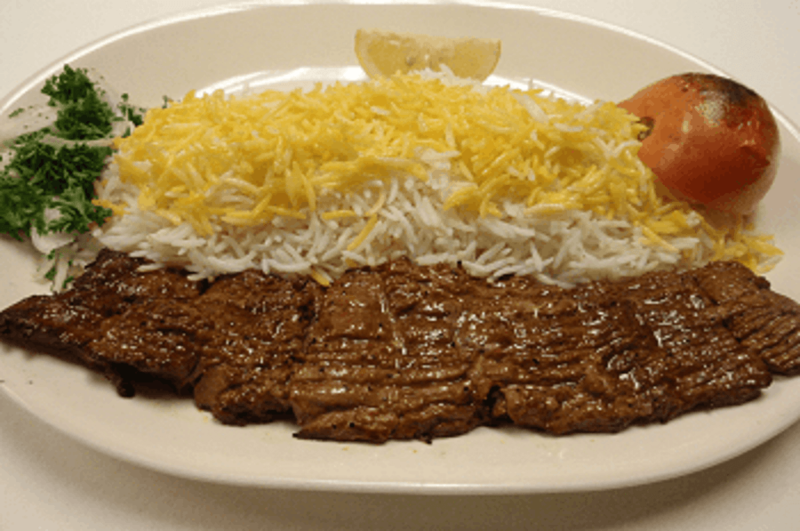 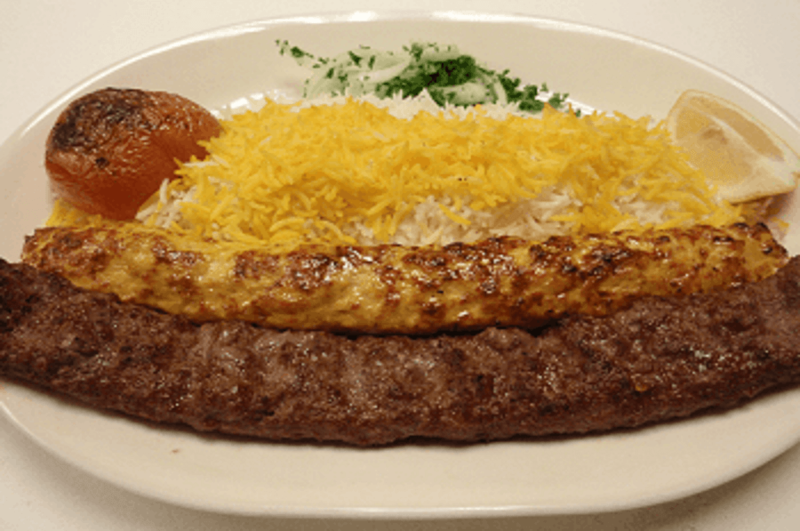 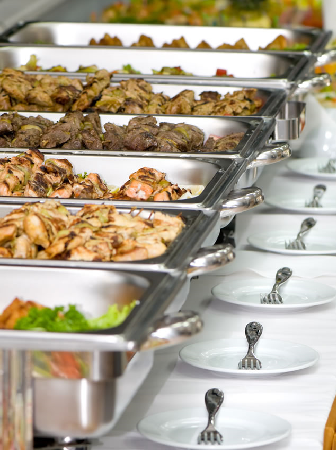 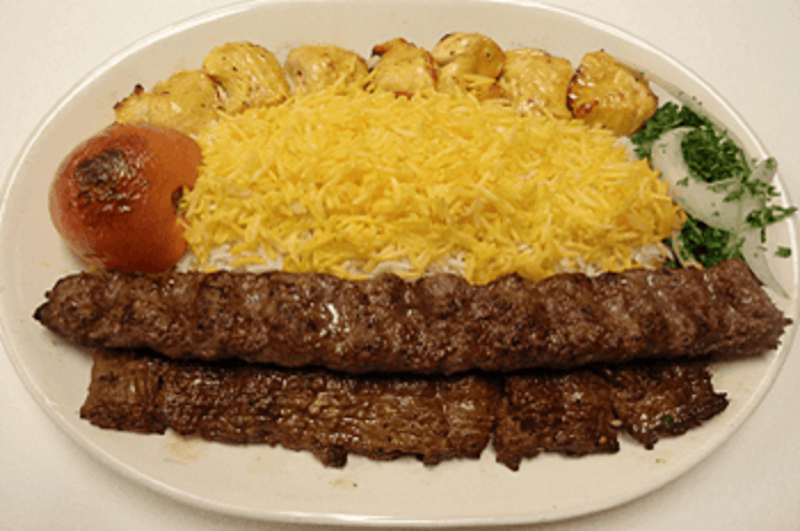 Best Quality Kabob in DC Metro Area Since 1991. 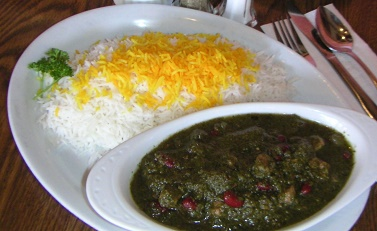 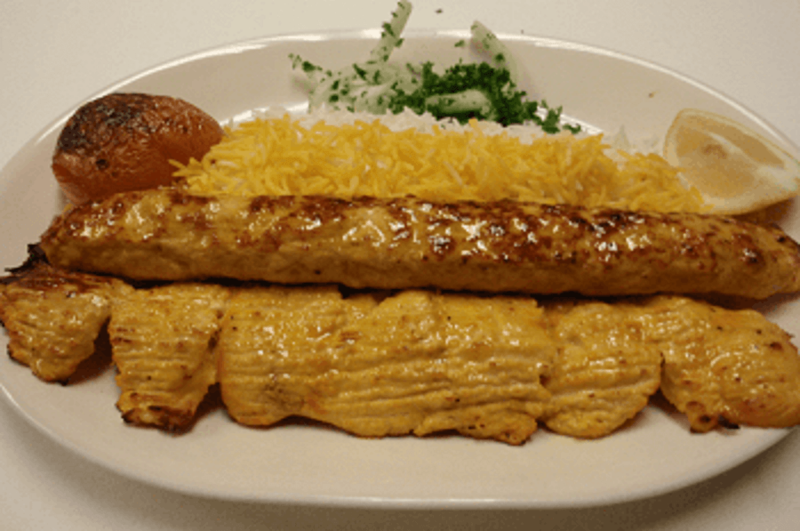 Combination of one skewer Kubideh and chicken kabob. 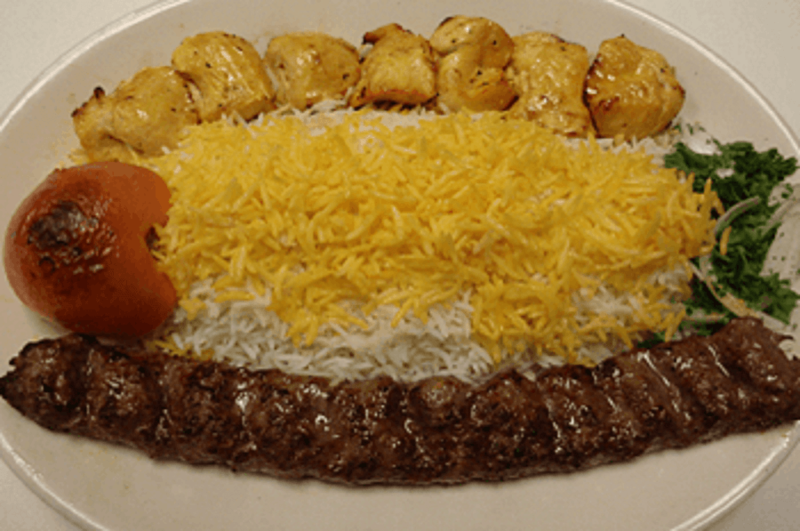 Tender strips of Filet Mignon, marinated in our special seasoning and flame-broiled to perfection. 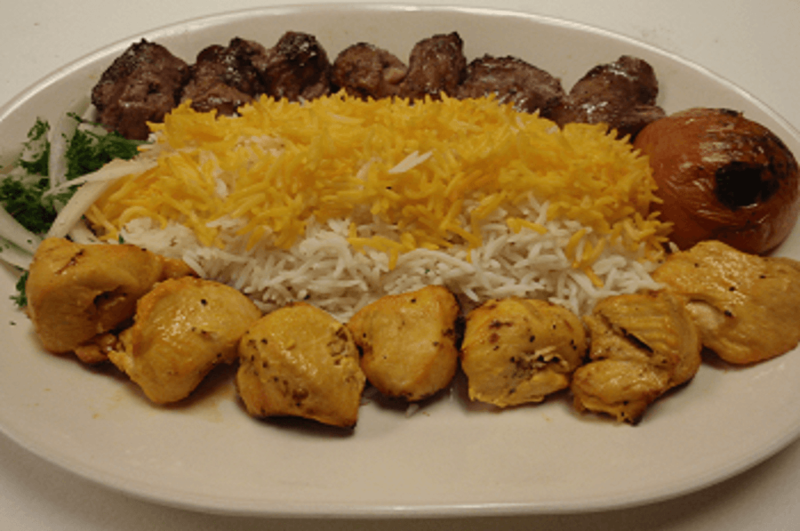 Combination of one skewer lamb and chicken kabob.